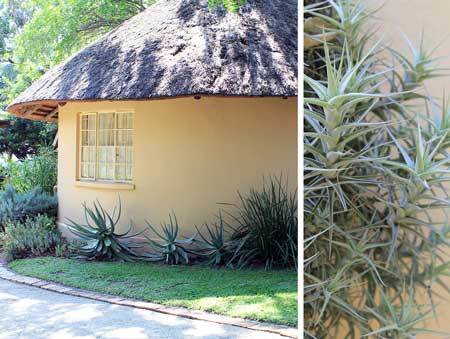 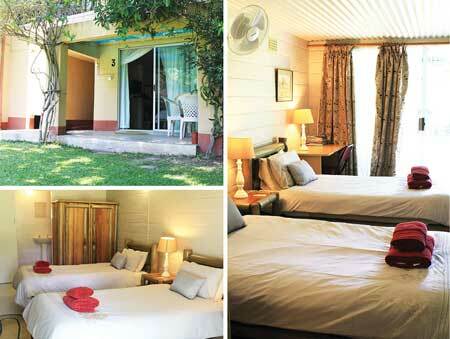 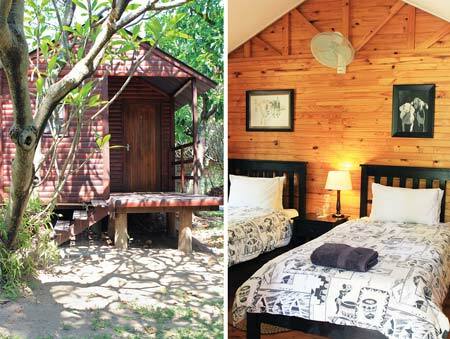 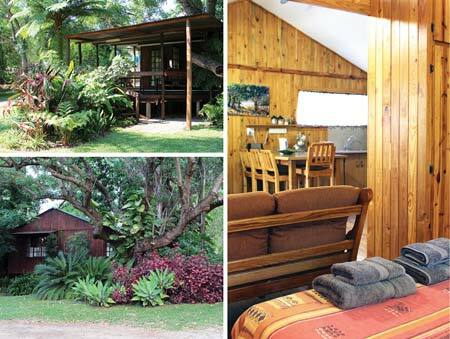 Large rondavel with a queen-sized bed, 2 sleeper couches and ensuite bathroom (shower). 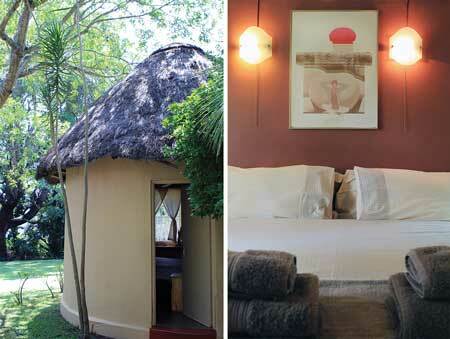 It has a fridge, microwave, tea/coffee station, local television and standing fan. 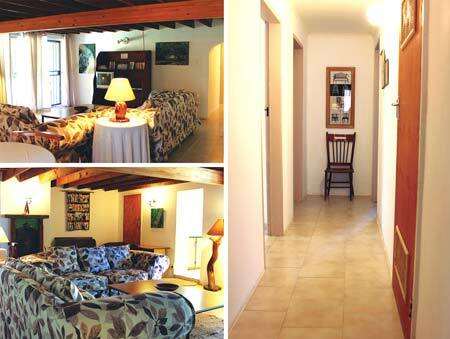 Communal living unit which offers kitchen facilities, fridge/freezer, a lounge area with a DSTV compact selection. 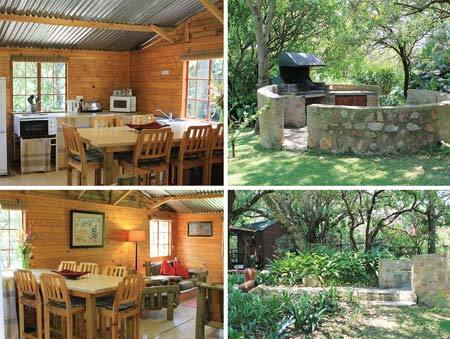 Large stone-built braai facility next to the living unit.